Paul Mathew Transport Limited is a family run transport company based in Bognor Regis with depots in Evesham, Widnes and Farnborough. With a strong work ethic & traditional family values playing a key role in the day to day operation of the business, you will be part of an elite team, not just a driver. 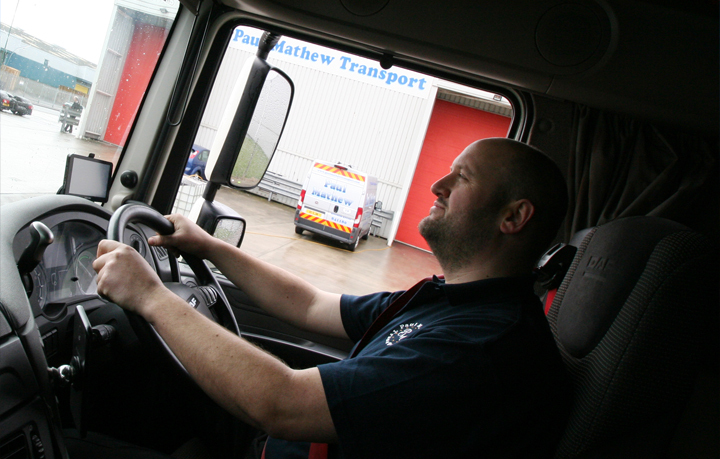 Paul Mathew Transport Limited is a well-respected transporter of theatre equipment throughout the UK and Europe. Primary roles will require you to take responsibility for the safe loading and unloading of trailers as well as your driving duties. Candidates will be required to be self-motivated, honest, hardworking and take pride in their workmanship. For the right candidate, driver training will be provided. You must hold a full class 1 licence and driver card and have completed the required CPC training. Candidates that have gained their Class 1 entitlement through the young driver's scheme will also be considered, provided they have a clean drivers licence and some experience. In return you will receive excellent rates of pay including night out allowances, holiday benefits and entitlement. We operate high class vehicles less than 4 years old which are well maintained in our own workshop. If you would like to apply for a position at Paul Mathew Transport Limited please complete the application form here. A member of our team will be in touch with additional information.